Conway's Irish Ale | C.J.W., Inc.
Made of Harrington 2-row base and crystal 77 malts with northern brewer, Mt. Hood, and Wilamette hops, Conway's Irish Ale is a malty Irish ale with a notable toasty flavor derived from lightly roasted malt. This brew pairs well with a wide range of food including: chicken, seafood, and burgers. It also serves excellently with spicy cuisine and lightly tangy cheeses like Port-Salut. 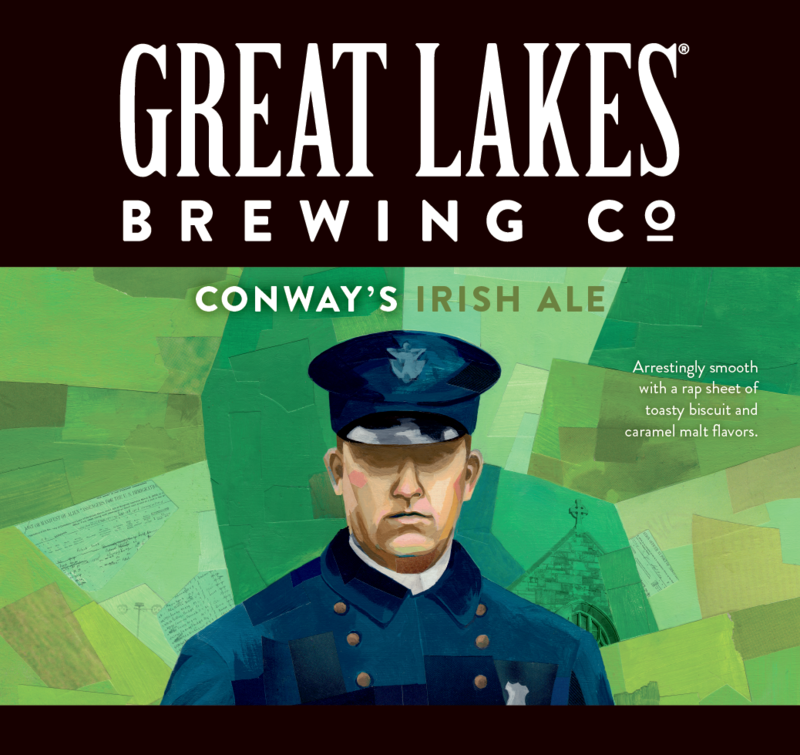 Conway's Irish Ale is a seasonal brew available from Great Lakes during the winter season beginning in January.